02. Book You Were Excited About And Thought You Were Going To Love More But Didn’t? I thought that I would enjoy this more than I did. It has all the elements I thought I’d enjoy: a motley crew of young ladies who all have distinctive personalities, time travel, and secret conspiracy theories. But alas, the more volumes I read, the more the series comes across as a confusing mess. I’m truly hoping someone has a plan here and is able to connect all the dots together. 03. Most surprising (in a good way or bad way) book you read? 04. Book You “Pushed” The Most People To Read (And They Did)? 05. Best series you started in 2018? Best Sequel of 2018? Best Series Ender of 2018? Best Series Ender – I haven’t finished them yet, however, I’ll be finishing Ouran High School Host Club and Fruits Basket in 2019. 06. A favourite new author that you discovered in 2018? 07. Best book from a genre you don’t typically read/was out of your comfort zone? 08. Most action-packed/thrilling/unputdownable book of the year? 09. Book You Read In 2018 That You Are Most Likely To Re-Read Next Year? 10. Favourite cover of a book you read in 2018? 11. The most memorable character/s of 2018? 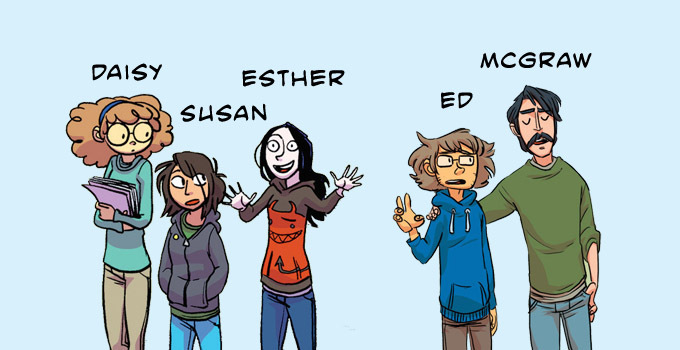 Image Description: an image of the main cast of characters from Giant Days. From left to right: Daisy, Susan, Esther, Ed, and McGraw. They appear to standing and talking to one another and they are facing the audience. I meant I review this book this year, however, I didn’t get around to it. Although, in fairness, when I review this book, I want to do it justice. This book took a long time for me to read and process and I suspect I’ll need to read it again. I feel as though this book is one of those volumes that require multiple re-readings to truly digest it. I meant to read it sooner and I’m glad I finally got around it. 15. Favourite Passage/Quote From A Book You Read In 2018? “All the more reason I’m going to stick to writing novels.” – a conversation between Upsher and Marko in Saga Volume 9. 16. Shortest and Longest Book You Read In 2018? 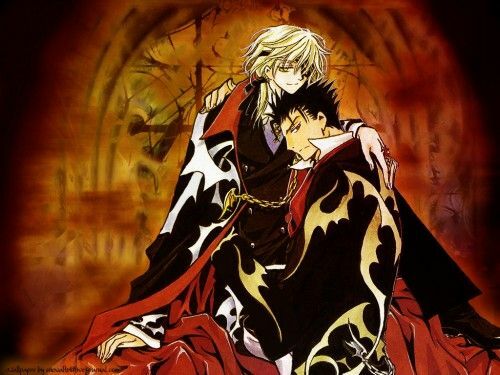 Image Description: an image of Fai D. Flowright and Kurogane (characters from The Tsubasa: RESERVoir CHRoNiCLE series) wearing fancy clothing in a red and black colour scheme. They’re embracing, with Fai sitting above Kurogane, with Kurogane sitting on a side profile. 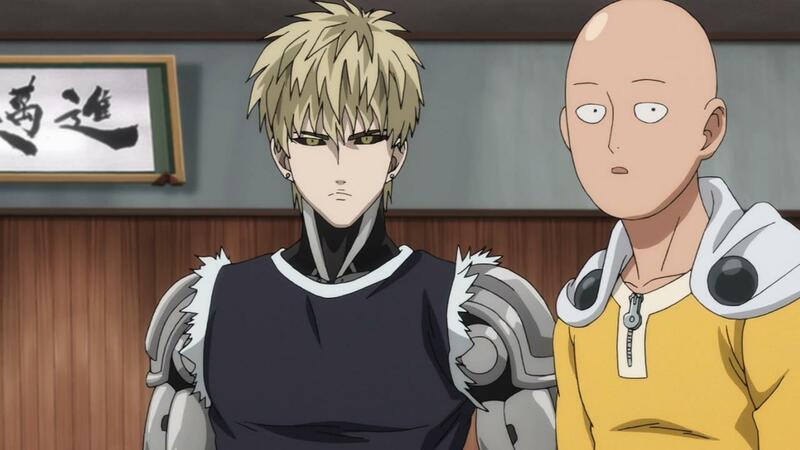 Image Description: an image of Genos (a teenager with blonde-hair, and cyborg features, such as mechanical arms and black eyes) and Saitama (a bald man who wears a yellow jumpsuit, a cape, and red gloves and boots). Saitama and Genos – I love their mentor and apprentice relationship, Genos is such a sweet and devoted student, and Saitama is also kind and thoughtful in his own way too. They live in such a weird dystopian world and yet both of them are still kind to each other and to their mutual friends they have collected along the way. I don’t think “crush” is the right word, however, When I read Natsume’s Book of Friends, I do occasionally have moments of sadness and protectiveness when Natsume is forced to reflect upon his abusive childhood. The Tsubasa: RESERVoir CHRoNiCLE Series – There’s so much detail given to the clothing and environment of each new world the gang travel to. The One Punch Man series – Seriously, just go read it, this series is hilarious. This probably doesn’t count, given how popular it is, however, I ended up enjoying the book more than I had initially expected to. With the exception of the Saga series and The Tsubasa: RESERVoir CHRoNiCLE series, I’ve mostly avoided these types of books, I’ve been actively pursuing the opposite. 01. 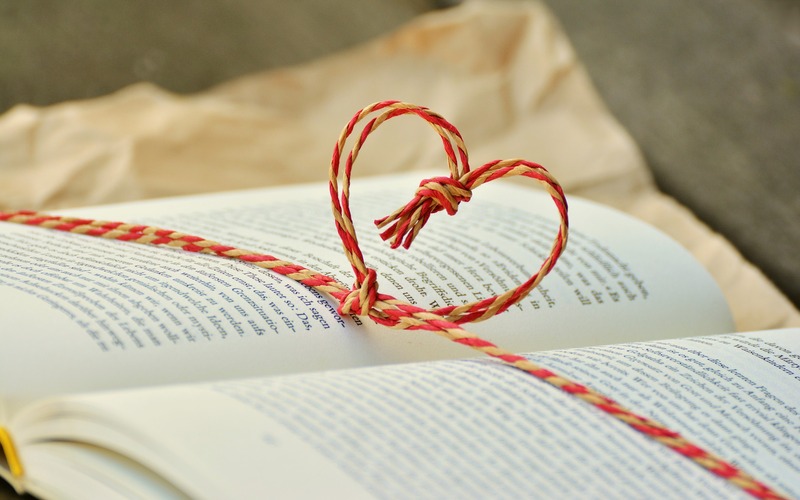 New favourite book blog you discovered in 2018? 02. Favourite review that you wrote in 2018? 03. Best discussion/non-review post you had on your blog? 04. Best event that you participated in (author signings, festivals, virtual events, memes, etc.)? I attended VidCon this year, however, I also attended an Author Event with Bruno Lettieri and Sofie Laguna. 05. Best moment of bookish/blogging life in 2018? I posted more consistently this year, which is something I’ve really struggled with, so I’m happy I’ve improved in this area. 06. The most challenging thing about blogging or your reading life this year? I’ve had a lot of personal stuff going on the background (family drama, mental health issues, a family member passing away), which has strongly affected my resources such as motivation, mental energy, and time. I’m generally pretty good at coming up with ideas, however, the problem is that I’ve had reduced time, mental energy, and motivation to implement the vast majority of them. 07. Most Popular Post This Year On Your Blog (whether it be by comments or views)? Apparently, my Stationery Quest: Miniso at Highpoint was my post of the year with the highest views. 08. Post You Wished Got A Little More Love? My Bullet Journal posts. I put a lot of research and effort into those posts. 09. Best bookish discover (book related sites, bookstores, etc.)? I’d probably have to with Philosophy Tube. It’s a good bookish resource and it’s entertaining. 01. One Book You Didn’t Get To In 2018 But Will Be Your Number 1 Priority in 2019? 02. Book You Are Most Anticipating For 2019 (non-debut)? 03. 2019 Debut You Are Most Anticipating? To be honest, I’m not really looking into 2019 New Release books, I’m aiming to focus on completing the book series I’ve already started. 04. Series Ending/A Sequel You Are Most Anticipating in 2019? I received The Mortal Engines quartet by Philip Reeve for Christmas and I’m looking forward to reading those. 05. One Thing You Hope To Accomplish Or Do In Your Reading/Blogging Life In 2019? Get better at Social Media interaction. 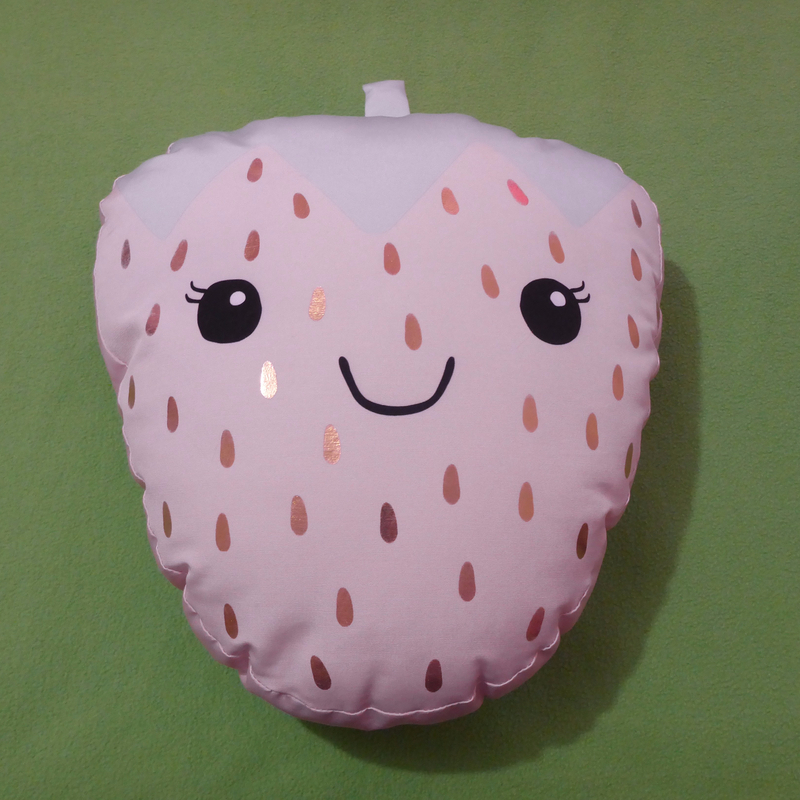 I’m generally a Lurker on people’s book blogs or booktube channels and I need to change that. This year I simply haven’t had the time or energy/motivation. I don’t receive arc books or books in advance so this isn’t possible.